China Unicom and Telefónica published a whitepaper about their Joint Approach to Network Virtualization. The carriers see network transformation as fundamental for achieving the flexibility and efficiency required to keep up with exploding customer traffic. The collaboration focuses on the development and standardization of Network Virtualisation technologies. Use cases they are working on include the Virtualization of the Customer Premises Equipment (vCPE). “China Unicom considers operators are facing great challenges such as complicate, huge network, difficult to maintain and long time to provide new services, with the SDN and NFV technology, network virtualization will be a good way for us to solve these problems”, Mr Zhang Zhong Ping, director of technical department of China Unicom said. The ongoing convergence of video and cloud-based applications, along with the exploding adoption of mobile devices and services, are having a profound impact on carrier networks. Carriers are under tremendous pressure to deploy new, value-added services to grow subscriber numbers and increase revenue per user, while simultaneously lowering capital and operational expenditures. To help meet these challenges, some carriers are creating some of these new services by more tightly integrating the traditionally separate data center and carrier networks. By extending the virtualization technologies that are already well-established in data centers into the telecom network domain, overall network utilization and operational efficiencies can be improved end-to-end, resulting in a substantially more versatile and cost-effective infrastructure. This two-part article series explores the application of two virtualization techniques—software-defined networking (SDN) and network function virtualization (NFV)—to the emerging unified datacenter-carrier network infrastructure. In recent years, user expectations for “anywhere, anytime” access to business and entertainment applications and services are changing the service model needed by carrier network operators. For example, e-commerce applications are now adopting cloud technologies, as service providers continue incorporating new business applications into their service models. For entertainment, video streaming content now includes not only traditional movies and shows, but also user-created content and Internet video. The video delivery mechanism is evolving, as well, to include streaming onto a variety of fixed and mobile platforms. Feature-rich mobile devices now serve as e-commerce and entertainment platforms in addition to their traditional role as communication devices, fueling deployment of new applications, such as mobile TV, online gaming, Web 2.0 and personalized video. Figures 1 and 2 show some pertinent trends affecting carrier networks. Worldwide services revenue is expected to reach $2.1 trillion in 2017, according to an Insight research report, while the global number of mobile subscribers is expected to reach 2.6 billion by 2016, according to Infonetics Research. To remain profitable, carriers need to offer value-added services that increase the average revenue per user (ARPU), and to create these new services cost-effectively, they need to leverage the existing datacenter and network infrastructures. This is why the datacenters running these new services are becoming as critical as the networks delivering them when it comes to providing profitable services to subscribers. Datacenter and carrier networks are quite different in their architectures and operational models, which can make unifying them potentially complex and costly. According to The Yankee Group, about 30 percent of the total operating expenditures (OpEx) of a service provider are due to network costs, as shown in Figure 3. To reduce OpEx and, over time, capital expenditures (CapEx), service providers are being pushed to find solutions that enable them to leverage a more unified datacenter-carrier network model as a means to optimize their network and improve overall resource utilization. Virtualization of the network infrastructure is one strategy for achieving this cost-effectively. Virtualization is a proven technique that has been widely adopted in enterprise IT based on its ability to improve utilization and operational efficiency of datacenter server, storage and network resources. By extending the virtualization principles into the various segments of a carrier network, a unified datacenter-carrier network can be fully virtualized—end-to-end and top-to-bottom—making it far more scalable, adaptable and affordable than ever before. Leveraging the virtualized datacenter model to virtualize the carrier network has several benefits that can help address the challenges associated with a growing subscriber base and more demanding performance expectations, while simultaneously reducing CapEx and OpEx. The approach also enables carriers to seamlessly integrate new services for businesses and consumers, such as Software-as-a-Service (SaaS) or video acceleration. Google, Facebook and Amazon, for example, now use integrated datacenter models to store and analyze Big Data. Integration makes it possible to leverage datacenter virtualization architectures, such as multi-tenant compute or content delivery networks, to scale or deploy new services without requiring expensive hardware upgrades. Incorporating the datacenter model can also enable a carrier to centralize its billing support system (BSS) and operation support system (OSS) stacks, thereby doing away with distributed, heterogeneous network elements and consolidating them to centralized servers. And by using commodity servers instead of proprietary network elements, carriers are able to further reduce both CapEx and OpEx. The benefits of virtualization derive from its ability to create a layer of abstraction with the physical resources. For example, the hypervisor software creates and manages multiple virtual machines (VMs) on a single physical server to improve overall utilization. While the telecom industry has lagged behind the IT industry in virtualizing resources, most service providers are now aggressively working to adapt virtualization principles in their carrier networks. Network function virtualization (NFV), for example, is being developed by a collaboration of service providers as a standard means to decouple and virtualize carrier network functions from traditional network elements, and then distribute these functions across the network more cost-effectively. By enabling network functions to be consolidated onto VMs running on a homogenous hardware platform, NFV holds the potential to minimize both CapEx and OpEx in carrier networks. Another trend in virtualized datacenters is the abstraction being made possible with software-defined networking, which is enabling datacenter networks to become more manageable and more open to innovation. SDN shifts the network paradigm by decoupling or abstracting the physical topology to present a logical or virtual view of the network. SDN technology is particularly applicable to carrier networks, which usually consist of disparate network segments based on heterogeneous hardware platforms. Here is a brief overview of the two technologies currently being used in unified datacenter-carrier network infrastructures: SDN and NFV. SDN is a network virtualization technique based on the logical separation and abstraction of both the control and data plane functions, as shown in Figure 4. Using SDN, the network elements, such as switches, routers, etc., can be implemented in software, virtualized as shown, and executed anywhere in a network, including in the cloud. SDN decouples the network functions from the underlying physical resources using OpenFlow®, the vendor-agnostic standard interface being developed by the Open Networking Foundation (ONF). With SDN, a network administrator can deploy a new network application by writing a program that simply manipulates the logical map for a “slice” of the network. Because most carrier networks are implemented today with a mix of different platforms and protocols, SDN offers some substantial advantages in a unified datacenter-carrier network. It opens up the network for incorporating innovation. It makes it easier for network administrators to manage and control the network infrastructure. It reduces CapEx by facilitating the use of commodity servers and services, potentially by mixing and matching platforms from different vendors. In the datacenter, for example, network functions could be decoupled from the network elements, like line and control cards, and moved onto commodity servers. Compared to expensive proprietary networking solutions, commodity servers provide a far more affordable yet fully mature platform based on proven virtualization technologies, and industry-standard processors and software. To ensure robust security—always important in a carrier network—the OpenFlow architecture requires authentication when establishing connections between end-stations, and operators can leverage this capability to augment existing security functions or add new ones. This is especially beneficial in carrier networks where there is a need to support a variety of secure and non-secure applications, and third-party and user-defined APIs. NFV is an initiative being driven by network operators with a goal to reduce end-to-end network expenditures by applying virtualization techniques to telecom infrastructures. Like SDN, NFV decouples network functions from traditional network elements, like switches, routers and appliances, enabling these task-based functions to then be centralized or distributed on other (less expensive) network elements. With NFV, the various network functions are normally consolidated onto commodity servers, switches and storage systems to lower costs. Figure 5 illustrates a virtualized carrier network in which network functions, such as a mobility management entity (MME), are run on VMs on a common hardware platform and an open source hypervisor, such as a KVM. NFV and SDN are complementary technologies that can be applied independently of each other. Or NFV can provide a foundation for SDN. By using an NFV foundation combined with SDN’s separation of the control and data planes, carrier network performance can be enhanced, its management can be simplified, and new services can be more easily deployed. Raghu Kondapalli is director of technology focused on Strategic Planning and Solution Architecture for the Networking Solutions Group of LSI Corporation. Kondapalli brings a rich experience and deep knowledge of the cloud-based, service provider and enterprise networking business, specifically in packet processing, switching and SoC architectures. Most recently he was a founder and CTO of cloud-based video services company Cloud Grapes Inc., where he was the chief architect for the cloud-based video-as-a-service solution. Prior to Cloud Grapes, Kondapalli led technology and architecture teams at AppliedMicro, Marvell, Nokia and Nortel. Kondapalli has about 25 patent applications in process and has been a thought leader behind many technologies at the companies where he has worked. Kondapalli received a bachelor’s degree in Electronics and Telecommunications from Osmania University in India and a master’s degree in Electrical Engineering from San Jose State University. Level 3 Communications introduced a Cloud Connect Solution to help global enterprises to integrate the cloud into their networks. Level 3 Cloud Connect Solutions provide private network access to leading cloud and data center services. The idea is to deliver a secure, reliable path for customers to realize the efficiency and flexibility of the cloud without compromising productivity or revenue. The service supports multiple ways to connect enterprises with cloud and data centers, including MPLS/IPVPN, Virtual Private Line Service, Ethernet Virtual Private Line, Ethernet Private Line and Wavelength services. Level 3 also provides professional and managed services, which include consulting, implementation, monitoring, management and managed network services for enterprises to further reduce operational complexity and oversight of their public, private and hybrid cloud deployments. Application Performance – Extensive fiber-based and low-latency route options allowing customers to be prescriptive about global network performance and enable core IT functions such as email, websites and customer relationship management services to perform more quickly and without interruption. Global Network Security – Comprehensive network security portfolio that leverages Level 3's private network access, managed security, Distributed Denial of Service mitigation and consulting services so enterprises can realize end-to-end control of their network and entrust their most important applications and information to the cloud. Flexibility – The freedom to connect to the leading cloud services and data centers of choice without forcing businesses into an outmoded technology or restrictive service bundle. The flexibility to allocate bandwidth dynamically and pay only for what businesses consume. "From performance to cost efficiency, enterprises have high expectations for cloud-based services and the network is integral to meeting those expectations," said Paul Savill, Level 3's senior vice president of Global Core Product Management. "Level 3 Cloud Connect Solutions deliver global network reach with direct connections to the evolving landscape of leading cloud service providers, placing Level 3 in a strong position to help enterprise IT organizations successfully realize their cloud strategies." 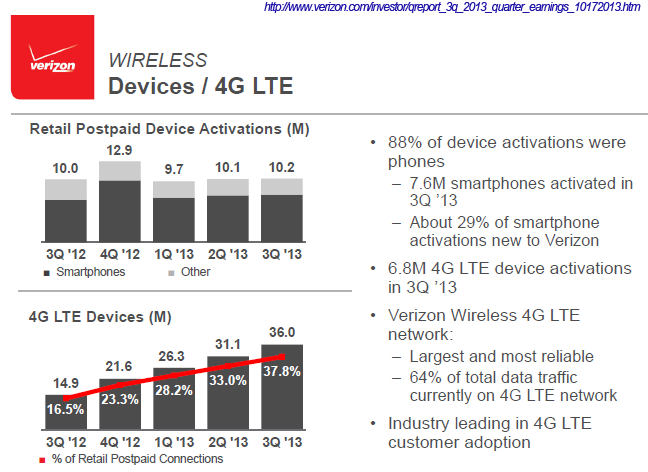 Verizon reported Q3 revenue of $30.3 billion, a 4.4 percent increase compared with third-quarter 2012. This is the fourth consecutive quarter of year-over-year revenue growth of more than 4 percent. Earnings came in at 78 cents in EPS in third-quarter 2013, compared with 56 cents per share in third-quarter 2012. Third-quarter 2013 results include a non-operational gain of 2 cents per share related to the sale of wireless spectrum, partially offset by 1 cent per share in incremental interest expense related to the financing of Verizon's planned purchase of Vodafone Group PLC's 45 percent stake in Verizon Wireless. 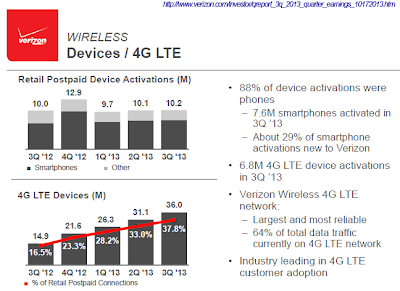 Verizon Wireless has substantially completed deployment of its 4G LTE network, covering more than 99 percent of its current 3G network footprint. Verizon Wireless 4G LTE network is now available in more than 500 markets to 97 percent of the U.S. population and covers more than 303 million people, including those in areas served by the company's LTE in Rural America partners. Wireline operating income margin was 1.6 percent in third-quarter 2013, up 120 basis points over third-quarter 2012. Segment EBITDA margin (non-GAAP) was 22.7 percent, compared with 21.7 percent in third-quarter 2012. Verizon continues to expect that full-year 2013 Wireline EBITDA margin will be similar to 2012 when excluding impacts of Superstorm Sandy from last year's results. The company also continues to target improved Wireline profitability and margin expansion in 2014. In third-quarter 2013, Verizon added 173,000 net new FiOS Internet connections, up 27.2 percent from third-quarter 2012 -- and 135,000 net new FiOS Video connections, up 13.4 percent. Verizon had a total of 5.9 million FiOS Internet and 5.2 million FiOS Video connections at the end of the quarter, representing year-over-year increases of 12.6 percent for each. Through the first nine months of 2013, Verizon migrated nearly 250,000 homes to fiber, on track to exceed a target of 300,000 migrations within FiOS markets in 2013. By year-end 2013, Verizon projects it will have less than 1 million remaining customers served by copper in FiOS markets. EarthLink has enabled their Cloud Hosting Services with the RiverMeadow Cloud Migration SaaS. As part of the agreement, RiverMeadow migrations will be bundled with EarthLink Cloud Hosting offers, to facilitate customer onboarding. RiverMeadow said its Cloud Migration SaaS provides a low-touch, three-step, automated process to migrate physical, virtual or cloud-based servers into EarthLink Cloud Hosting environments. There is no need to purchase software or install agents and workloads can remain in production during the migration process. For more complex workload migrations, EarthLink and partner service teams will be able to use RiverMeadow’s RESTFul API to apply custom steps. As part of the agreement, RiverMeadow migrations will be bundled with EarthLink Cloud Hosting offers, to facilitate customer on-boarding. 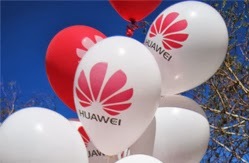 Huawei has been selected as China Telecom’s partner in the global deployment of its backbone optical transport network (OTN) covering the U.S., UK, Sweden, Germany, Singapore, Hong Kong, and eight provinces of mainland China. Multiple core nodes will be deployed in these regions. The OTNs will connect to various carrier networks around the world and expand with the development of services. Financial terms were not disclosed. China Telecom used to deploy international private lines based on an SDH+WDM solution. In this solution, SDH was used at the access layer, while large-capacity WDM was used at the aggregation and backbone layers. In this project, China Telecom adopts the innovative OTN+WDM solution, in which OTN, instead of SDH, is used for service access and scheduling. OTN features high access capacities and flexible scheduling of large-granularity services, simplifying the scheduling of large-granularity services and standing as an inspiring case for the industry. NEC Corporation has received the first Certificate of Conformance through the Open Networking Foundation's (ONF's) OpenFlow Conformance Testing Program. The ONF OpenFlow Conformance Testing Program was launched in July 2013. The Program provides networking vendors with the opportunity to demonstrate compliance with the OpenFlow specification, the first SDN standard and a vital element of an open SDN architecture. Testing of NEC’s Programmable Flow switches PF5240 and PF5248 was conducted by Indiana Center for Network Translational Research and Education (InCNTRE), one of the three independent labs approved for ONF OpenFlow Conformance testing. ZTE has been awarded more than 60% share of the contracts in China Mobile’s group tender for 100G Optical Transport Networking products for 2013. 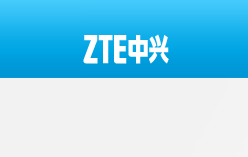 ZTE’s new-generation ZXONE 8000 can implement ultra-large cross-connection capacity of 9.4T/3.2T/2.8T/1.4T/0.8T, support non-blocking multi-granularity grooming of ODU0/1/2/2e/3/4/flex and seamlessly covering all network layers including national backbone network/provincial backbone network/metro core layer/metro aggregation layer.